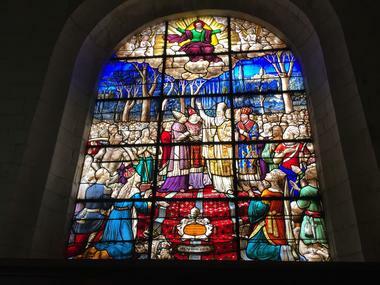 Saint Remi, Bishop of Reims, converted and baptized the first King of the Francs, Clovis, in 496, after his victory over the Alamans at the battle of Tolbiac (Zutphen, south of Cologne). Hence he significantly contributed to converting the region to Christianity. 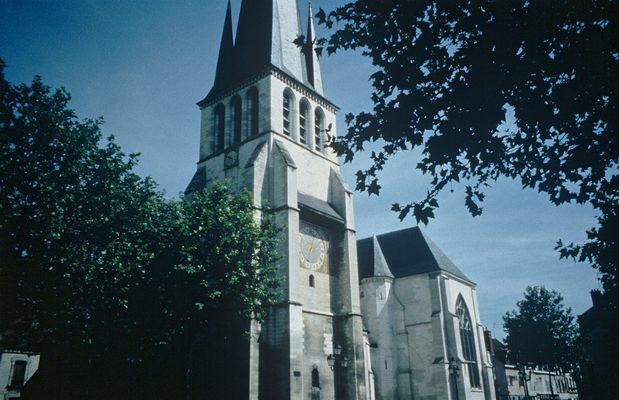 The Saint-Remy church is one of the oldest in Troyes. It was built in the 10th c. and at the time was located outside the city walls. 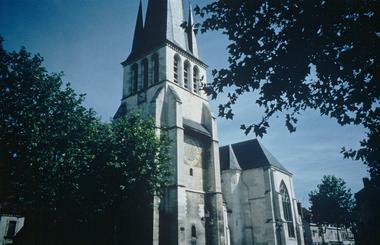 The parish was under the authority of the cathedral’s canon. 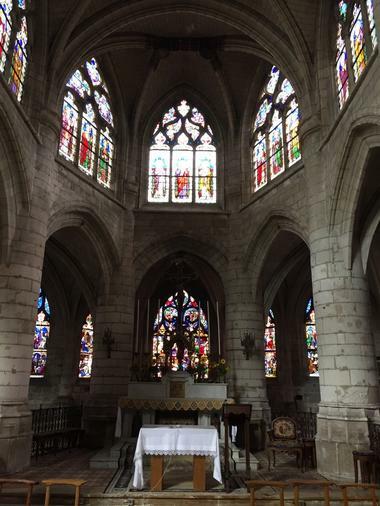 Located inside the new walls that were built in the 13th c., the Saint-Remy church underwent many enlargements and changes. New stained glass windows, paid for by the rich families of Troyes, were installed. The 12th c. belfry was renovated in 1360. Its 62-meter spire, covered with slate, is spiralled, using a construction technique common in the region. Its 15th c. portal is located under a wooden porch that replaced in the 19th c. the former narthex (entry area). 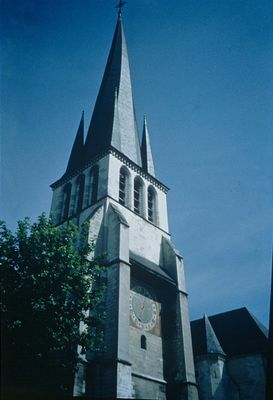 A clock face is painted on the tower, between images of Saint Remy and his mother. The sundial dates from the 18th c.
The interior of the church is lighted by broad Gothic trilobated bay windows. Visitors admire several paintings by Troyes painter Jacques de Létin (1597-1661) and, above the main altar, the famous bronze Christ by François Girardon, a sculptor from Troyes (1628-1715), who also made the fountains at the palace of Versailles. The church was rescued from demolition by protesting inhabitants and listed as a historic monument in 1908.